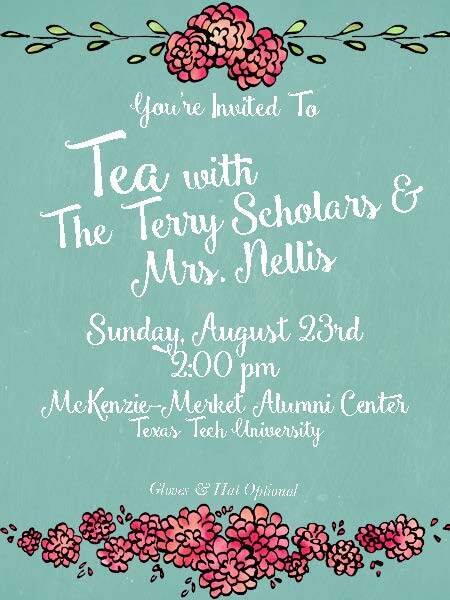 Join Mrs. Ruthie, President Nellis' wife, for an afternoon tea. She is inviting women in leadership from the President's Office and other women of note from around the campus to join us. Meet some phenomenal women. Find a mentor. Enjoy time with other female Terry Scholars. Dress: Spring Tea Party Attire. Hats and gloves optional. There are only 40 student tickets available for this event.